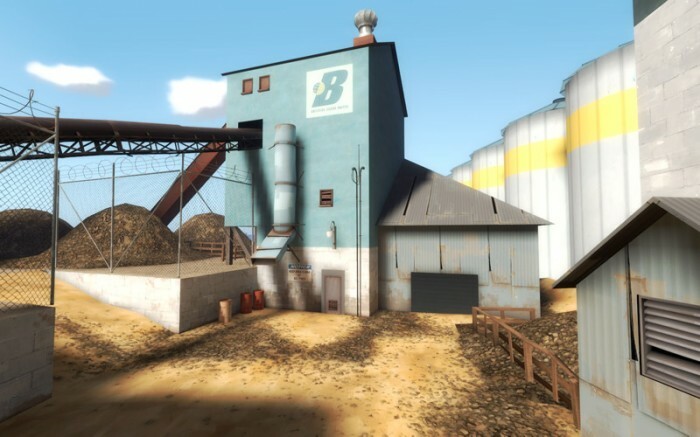 Last of the re-writes here, the most infamous Team Fortress map, 2Fort. Touching on a previous topic here, clustering details around doors. 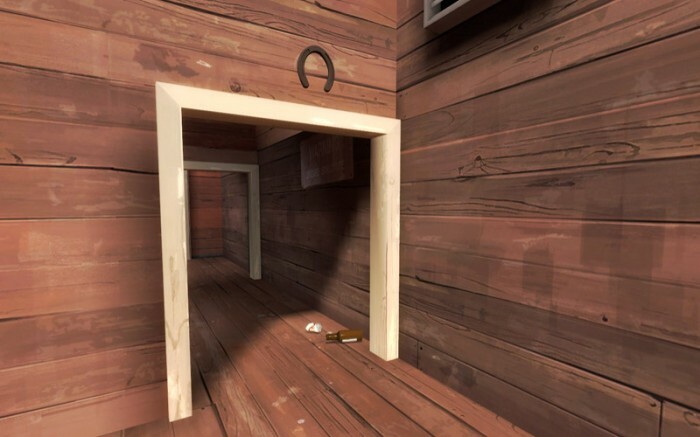 Since doorways are a place players run through a lot they see the details that are there a lot as well so you can get a free ride with your detailing by putting it closer to areas players see a lot of. Since they see it so often they’ll end up with the impression the map is more detailed than it really is – great! This one also shows some cans and a bottle, those are prop_physics_multiplayer, they’ve got some keyvalues set so that they don’t lag up the server by checking for collisions too often but a good rocket blast will send them flying, just like the hazard cones in many other maps. I’ve yet to see a these really take off in custom maps, not that I play many now. Bland is bad? Nope, not at all. 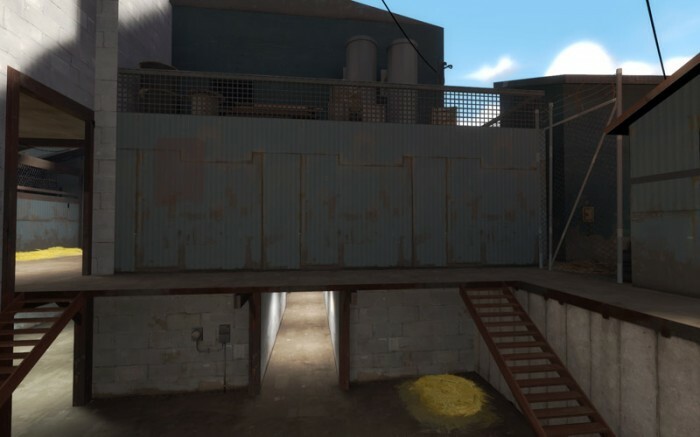 I was quite suprised when I was spectating around 2fort to find such an empty wall but actually I’ve never noticed it being bland whilst playing since I’m usually way too busy dealing with sentries or running with the intel. When you come to detailing your map it can be best to leave areas quite blank, these areas will usually be ones that have sentries in them constantly, since you’re always so focused on getting past/sapping/blowing up/etc the SG you’re far less likely to notice the huge blank wall behind it. Another seemingly blank wall, but actually this area sees little traffic so it doesn’t make sense to put a lot of detail here. However the holes in the roof and the wooden back to the window in the middle are just to stop you from realising how empty it is. 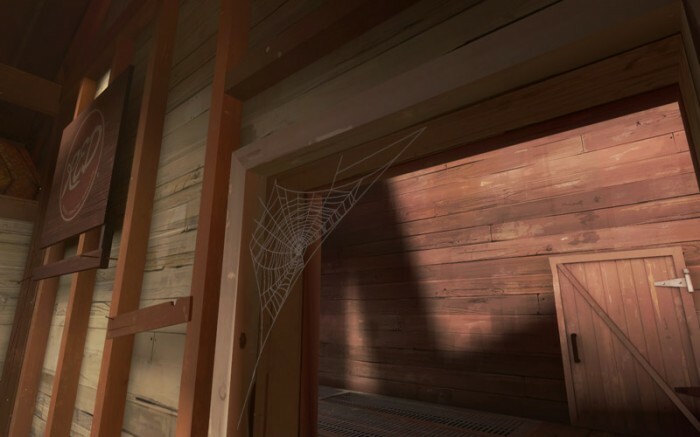 This texture just here… TF2 texture?…. Nope. 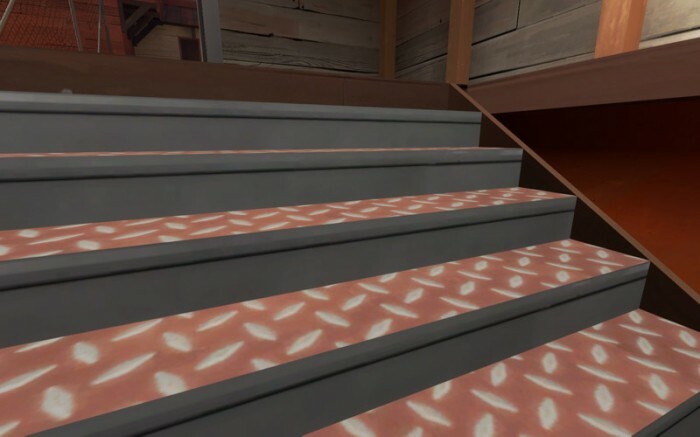 Its one of the stair textures from HL2, but it works well on TF2 stairs. 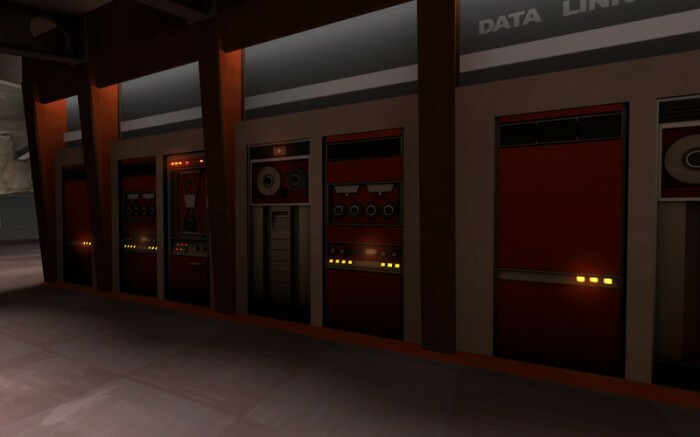 Just a reminder that its not always a cardinal sin to use HL2 textures, you just have to be careful about which ones you use and where you use them. Another note here is that stair textures often get very, very repetitive. It’s important for stairs that see a lot of upwards traffic to vary the x offset of the texture so that you don’t see the same bit of texture stack vertically on every step. See the little yellow spots I’ve circled? func_dustmotes. If you’ve got an area with lots of light flooding in from the sun or bright spotlights you might want to consider adding some of these guys. 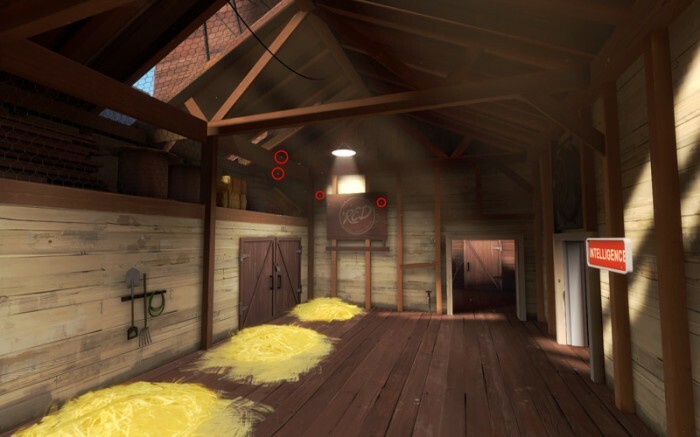 Be warned though, they make the area look dusty and they really stick out in places that look clean, like the locker room type spawnroom. If you apply them too heavily you can really see the bounds of the brush, they’re best applied very lightly so there are no harsh transitions. Also in this room there is some fake volumetric light streaks, adding to the dusty look. Unfortunately for us, knowledge of a modeling application or a friend with willing is needed to make these. Do you see how the lights seem to give off a little glow? Thats done using an env_sprite. They’re an effective way to make the computer models actually look like they’re on. Valve also use these on their security cameras and generators as well. Be careful adding one for every light though each sprite adds to the edict library, which is a common cause for crashes on detailed maps running on 32 man servers. Every dynamic entity adds to the edicts, remember to only name entities when necessary, like lights, naming a light makes it dynamic. 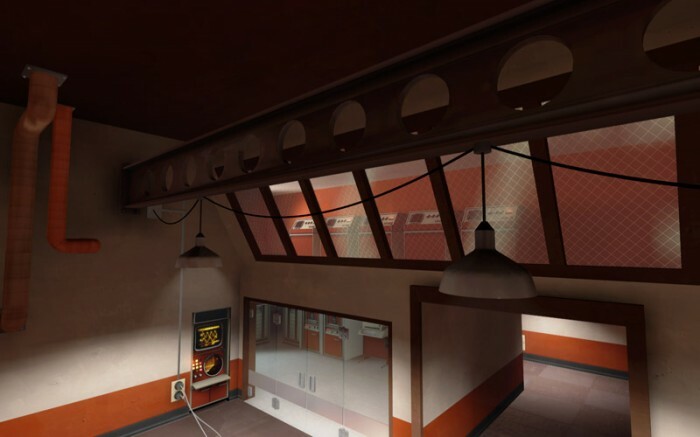 One thing I noticed here that I can’t show with a screenshot is the soundscape, as you fly though a map the sounds you’ll hear change depending on where you are, deep inside the spytech base of 2fort the computer wirring sounds are strong and theres a low humming that really adds to the atmosphere. Don’t forget to make sure when you go outside you change the soundscape to something more suitable though otherwise it will just feel wrong. See the wires between the lights here? going to a conduit on the wall? It’s a really nice touch, something that might often get overlooked or forgotten. 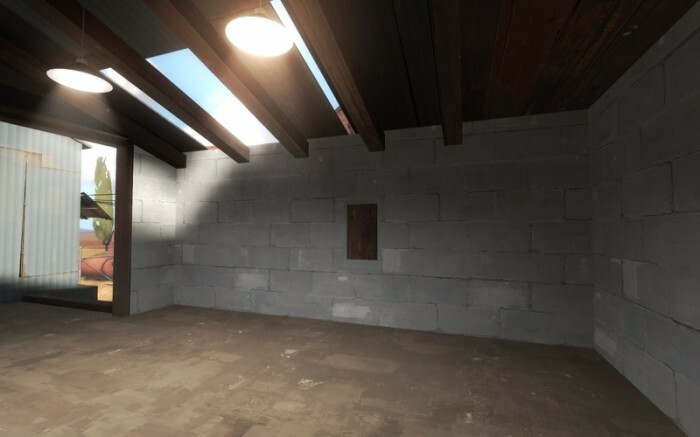 Normally a room like this with a high ceiling would not require details like this, but as anyone who has played 2fort knows, a lot of Engies like to hang around in here, so they’ve got a lot of time for looking around. And lastly just a really nice image, I don’t know what to say about this one just that when I saw it I thought “wow, I’ve never seen that before…. it looks great!” The colour correction present in 2Fort helps it feel painted. I can’t remember if they actually do or not, but the clouds in the background are brushes in the skybox tied to a rotating brush so they should move slowly as the game progresses. A nice touch. Next map in the series is yet to be decided, leave a comment and tell me what you want to see. This entry was posted on Saturday, September 18th, 2010 at 8:17 AM	and is filed under Articles. You can follow any responses to this entry through the RSS 2.0 feed. You can leave a response, or trackback from your own site. There are actually a sizable group of dynamic entities that exist only on the server, and thus don’t have edicts. They do count toward the non-edict entity limit, but going over that doesn’t cause a crash. The clouds don’t rotate, unfortunately. IIRC it’s a bug with the func_rotating entity in TF2 that has never been fixed. Another good addition to the series that starts to look a bit at overall scene composition and how to incorporate individual details into a larger picture. I still think Viaduct would be a good choice for the next part, but both Coldfront and Upward would be interesting as well.